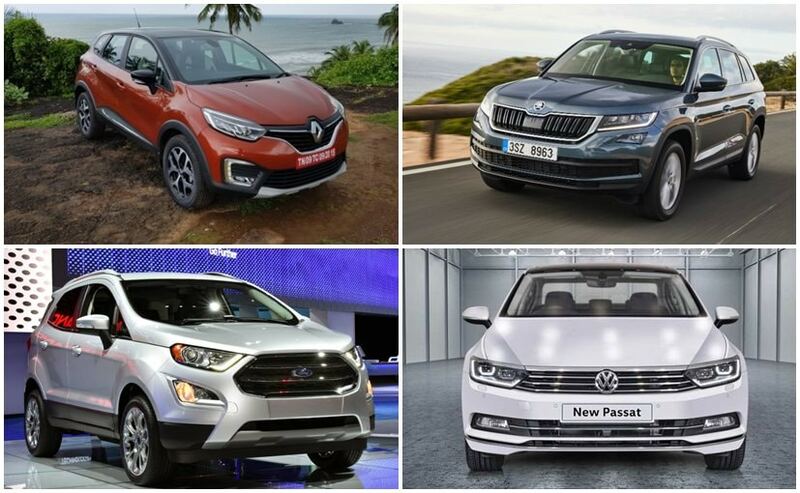 In the coming months, the Indian market with an onslaught of SUVs along with new sedans planned for launch and here's a look at the top upcoming cars that you should consider. Some of the much awaited models include - Renault Captur, Skoda Kodiaq, Ford EcoSport Facelift, Volkswagen Passat, the Ford Figo Facelift. Despite many ups and downs GST cess or new government policies, the auto industry has seen quite an eventful year, especially with regards to car launches. We have almost reached the last quarter of this calendar year and we yet to see a host of new cars ready to be launched in India. Right from the much anticipated to Renault Captur SUV to the beautiful Audi A5 and S5 models, a lot of new cars are in the pipeline. Moreover, with Diwali just around the corner carmakers are getting more active in also introducing new and updated models, especially around the festive season. The range of new cars in India that are yet to arrive is diverse and right front entry-level hatchbacks to SUV, it includes everything. 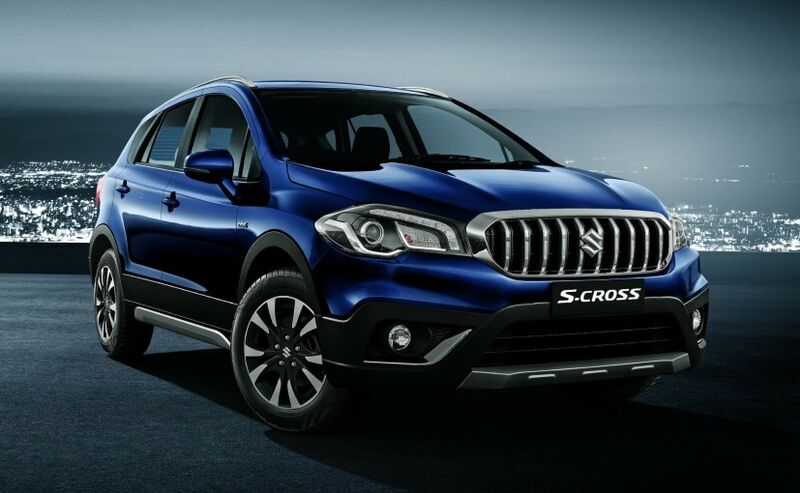 The Maruti Suzuki S-Cross came to India in 2015 as the maiden product of Maruti Suzuki's new premium dealership - NEXA. While Maruti Suzuki had hoped for a better response as regards this car, the sales didn't really take off. Almost two years later, Maruti Suzuki India is finally set to bring in the facelift of S-Cross with a host of styling and features updates, hoping to strike the right cord this time. Now, the facelift of the S-Cross was already showcased at the 2016 Paris Motor Show and back then we saw the changes that the company made to the car. The droopy look has given way to a bolder one. The front grille has been given a more prominent distinction and is lined in chrome (plastic) fixtures. The headlights are now more distinguishable with LED fitments and the taillights follow suit with standard LED bulbs. There's a more rugged black plastic diffuser and a lot of other equipment. The cabin remains almost unchanged as it uses soft-touch materials and framing highlights for the centre control panel, but the car comes with new upholstery and some new features as well. There is some new fabric too and a double sliding panoramic glass sunroof, which is one of the largest in the segment. The facelifted Maruti Suzuki S-Cross has dropped the 1.6-litre diesel engine and now comes only with the smaller 1.3-litre DDIS motor, equipped with the company's Smart Hybrid from Suzuki (SHVS) tech. The Ford EcoSport first arrived in 2013 and changed the automaker's fortunes in India. 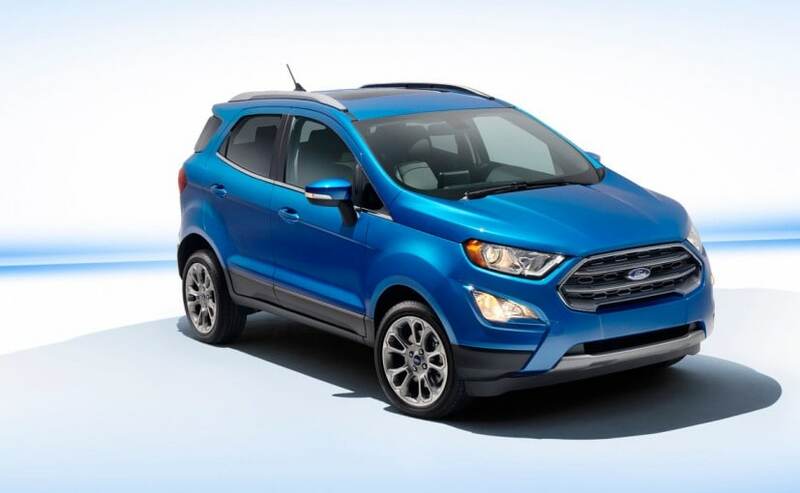 However, the current EcoSport has been around for a while now and the new competition has pretty much taken over the popular subcompact SUV. With the Maruti Suzuki Vitara Brezza's strong dominance, Ford is looking to re-establish its position in the segment and will be introducing the comprehensively updated EcoSport during the festive season this year. The globally updated model was unveiled in the US late last year and gets cosmetic upgrades including a larger front grille, revised headlamps and reworked bumper. The pint-sized Ford SUV will also get new alloy wheels, re-profiled tail lamps and and beefier rear bumper. Inside, the cabin will sport a new touchscreen infotainment system while the dashboard will also see updates. The updates should keep the EcoSport popular amidst rivals, as it continues to be the American carmaker's most selling offering in India. Engine options will remain the same with the 1-litre EcoBoost, 1.5-litre petrol Ti-VCT and TDCi diesel options. 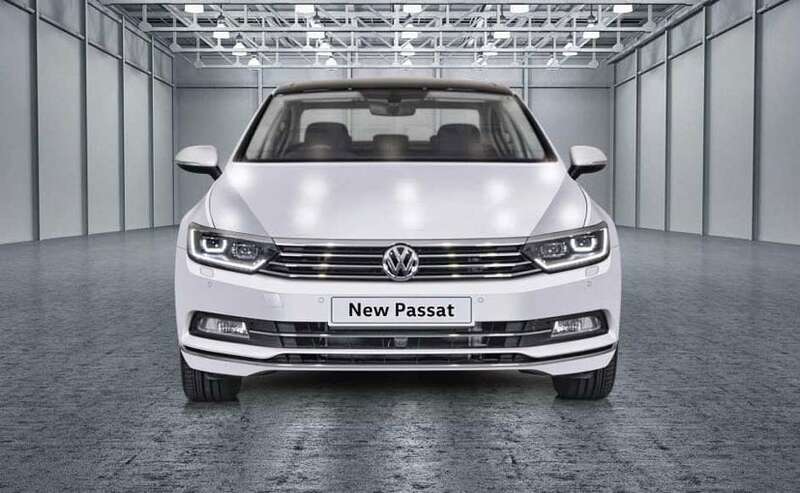 The all-new Volkswagen Passat made its global debut at the 2014 Paris Motor Show and is based on the lighter and flexible MQB platform. It is Volkswagen's second major launch this year after the Tiguan SUV in India. The eighth generation Volkswagen Passat gets a sharper design language over its predecessor while keeping things simple. The overall styling is familiar to the Volkswagen territory and you get a wide triple-slat grille, LED headlamps with signature DRLs and dynamic Light Assist feature. Inside, the 2017 Volkswagen Passat gets a completely new and luxurious cabin with a host of new tech wizardry on board. A 12.3-inch TFT digital instrument cluster makes it to the Passat, shared with the Audi TT, while you also get the a touchscreen infotainment system on the centre console with Apple CarPlay and Android Auto. In addition, the sedan comes with new Park Assist, Head Up Display (HUD) unit, and a host of new safety features on board. Under the hood, the new generation Volkswagen Passat will draw power from the 2-litre TDI four-cylinder diesel engine tuned to produce 174 bhp, while paired to a 6-speed DSG automatic transmission. It needs to be seen though if Volkswagen India will bring the Passat GTE plug-in hybrid to India. 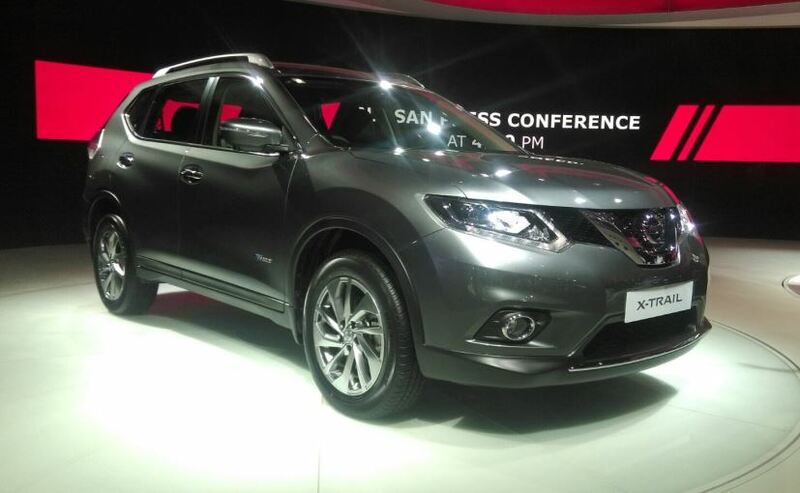 The Nissan X-Trail Hybrid has already made an appearance in India at the 2016 Auto Expo. Upon launch, it will be the only hybrid SUV in the country and our country will only be the 4th market in the world to have the new X-Trail hybrid. Owing to poor monthly sales, Nissan had decided to withdraw the X-Trail from India a few years ago. However, this model is built on a completely new platform and will be introduced at a time when Indian buyers are accepting premium SUVs in India. The X-Trail Hybrid is built on the CMF-C platform, which will also make its debut in India. The SUV will have a 5-seater layout and measure 4,640mm in length, 1,820mm in width and 1,715mm in height. The wheelbase is 2,705mm. Under the hood will be a 2.0-litre petrol engine which makes 142bhp and 200Nm of torque. There is also a 31kW electric motor that is coupled with the engine which takes the total power output to 183bhp. The transmission duties will be done by the X-CVT unit which can also be specified with an AWD system. The Nissan X-Trail Hybrid will be launched in India as a CBU (Completely Built Unit) and therefore, will be carrying a premium price. Toyota will launch the new generation Camry sedan and hybrid. The car has been one of the best-selling models in Toyota's line-up, globally and the success of the Camry hybrid sedan in India has been one example. As the outgoing model, we'll get the new-gen Camry in both its sedan and hybrid avatar and according to the company the model will be dynamic and offer improved handling and comfort. 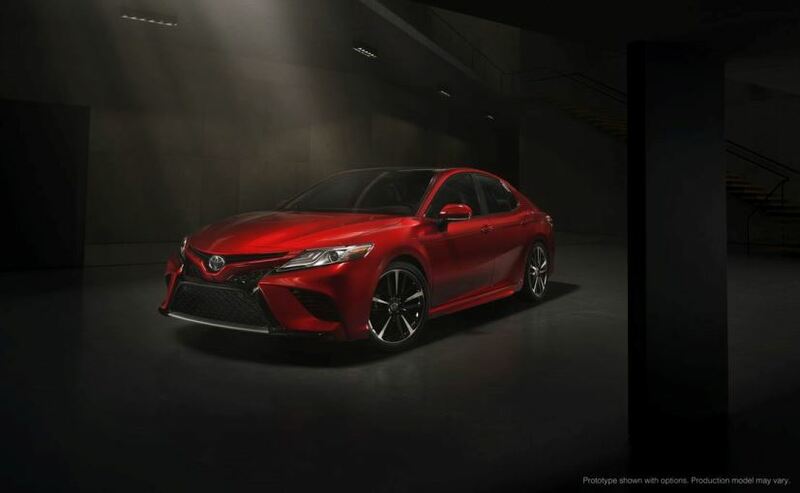 Moreover, Toyota says that the next generation Camry will definitely be positioned as a fun to drive and performance-oriented sedan. Technical specification and details are yet to be revealed but specification-wise and price-wise, the new Camry will have extremely varied versions to suit different markets. It should break cover sometime next year, with market introductions by 2018 at the very latest. An Auto Expo debut in Feb 2018 is looking highly likely than for India too. While the 2017 Honda City facelift has arrived and already amassed well over 5000 bookings, Maruti Suzuki is no mood to let go of its leadership in the C-segment sedan space. That's why the Indian auto giant is readying up the facelifted version of the Ciaz sedan which is likely to be one of the upcoming cars this year. First launched in 2014, the Ciaz will be receiving significant changes over the outgoing version, but do not expect major updates to the design or powertrain of the model. Instead, the sedan will see premium touches being added to the exterior and interior. 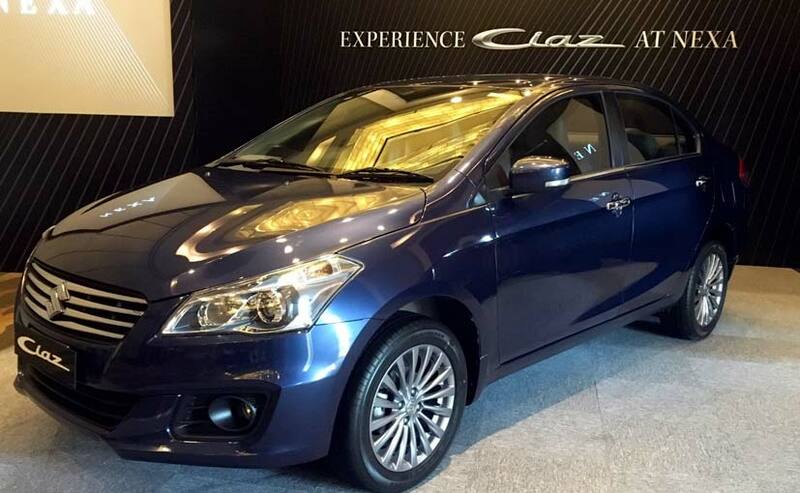 The 2017 Maruti Suzuki Ciaz facelift is expected to get a revised grille and alloy wheels, new daytime running lights, revised headlamp and tail light cluster as part of the changes. A sunroof is also expected to be added to the ensemble. The interior will also see a more premium appearance while the feature list is likely to remain the same, albeit some new additions. Powertrain options will include the 1.4-litre K-Series petrol and 1.3-litre DDiS diesel engines with the latter getting the mild-hybrid SHVS system. A marginal price hike will also be in order. After its preview in Berlin and a comprehensive review of the Kodiaq, we've finally seen it being tested in India and this certainly is good news. The launch is not that far then and we're waiting eagerly to see when Skoda plans to launch it here. 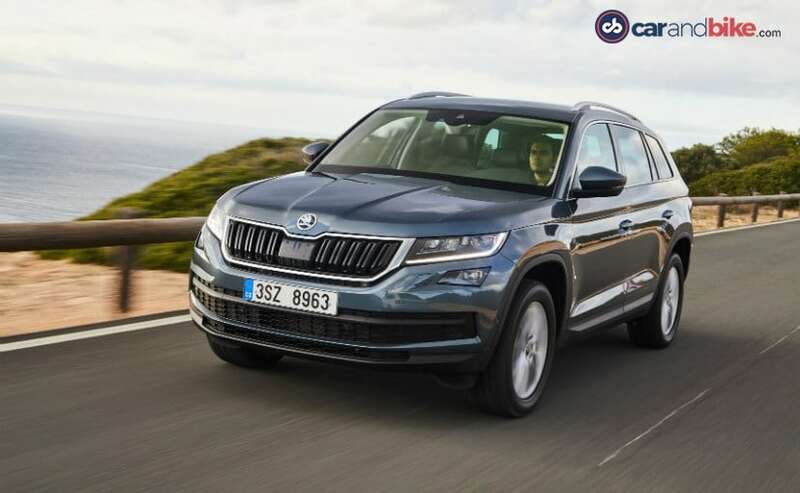 The Kodiaq is the Czech carmaker's first large SUV and also its first 7-seater car; though it is a 5-seater, Skoda will offer the optional 7-seat configuration too. The Skoda Kodiaq is measures 4697 mm in length, 1882 mm in width and 1676 mm in height. The SUV's wheelbase measures 2791 mm. and offers rear legroom of up to 104 mm. The Kodiaq is the latest of the Volkswagen Group models to be underpinned by the company's versatile MQB platform, which makes for a lighter yet rigid construction, leading higher fuel economy. Skoda is likely to offer the Kodiaq with the 2.0-litre TDI diesel engine mated to the 7-speed DSG. A petrol version may also be added in the future. 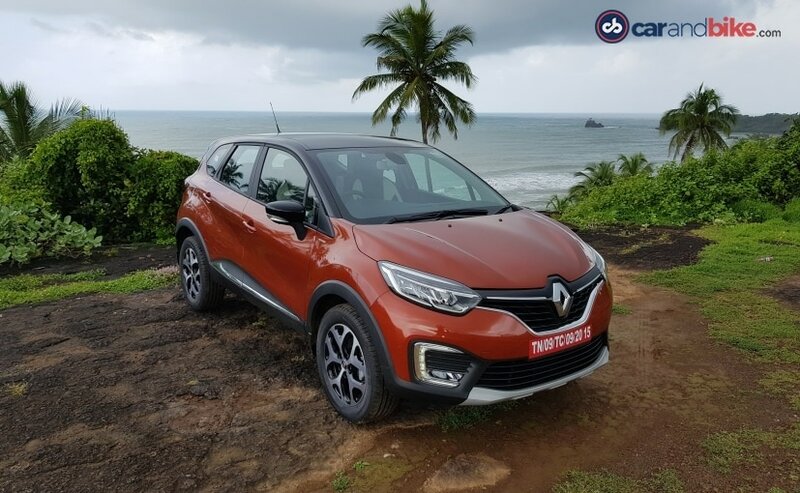 The all-new Renault Captur is a long-awaited upcoming cars in India and a completely different model when compared to the Captur subcompact crossover sold in the European market. Having tasted success in the SUV segment with the Duster, Renault India is now looking to capitalise on the same and is in the process of introducing the new Captur premium SUV next year. The new Renault Captur shares its underpinnings with the carmaker's popular compact SUV Duster, but will be positioned above the latter in India. The styling, however, is very European and comes with the V-shaped grille up front and the massive Renault diamond. The rear, on the other hand, gets a raked windscreen with a roof spoiler and wraparound tail lamps. The Renault Captur is expected to get the same 1.5-litre petrol and the 1.5-litre K9K engines which are already used in the Duster. That said, the Captur will get a more powerful tune of both engines along with the manual gearbox at the time of launch. An automatic version of the car with the AMT gearbox is expected eventually. Expect the Renault Captur to be launched in the upcoming festive season with a price tag of between Rs 12-16 lakh. We recently spotted the Ford Figo facelift in India and told you all about it. In fact, though heavily camouflaged, we can see quite a few elements that are new up front and at the rear. The front bumper gets new lower air intakes and the headlamps too have been revised. Mahindra saw decent sales figures for the KUV 100 in initial days, it dropped since Maruti Suzuki launched their Ignis. 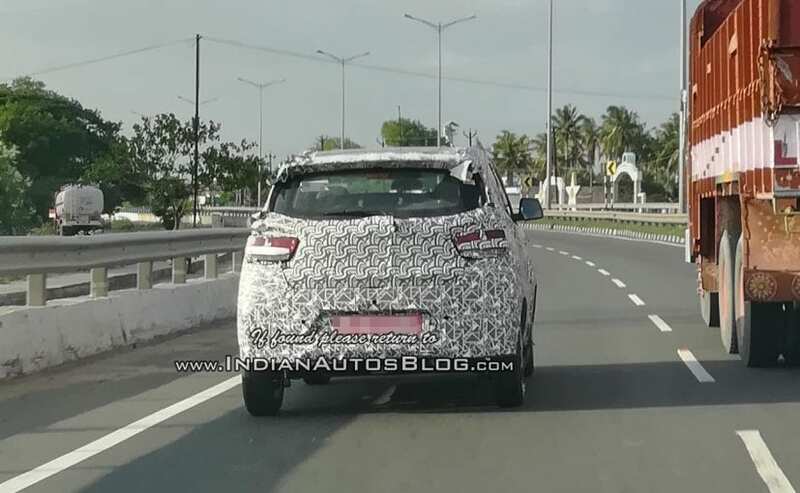 For this, Mahindra is now working on updating the KUV 100 with a facelift which was recently spotted testing near Chennai. 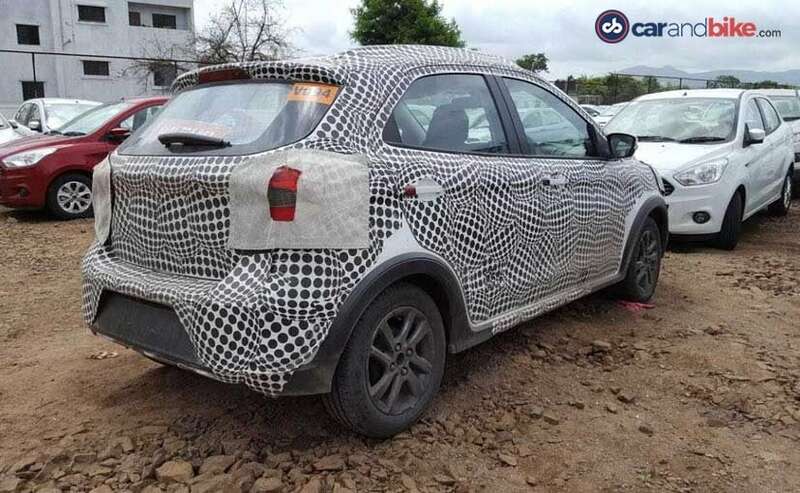 The Mahindra KUV 100 will only see cosmetic changes, while continuing with the same engine options.